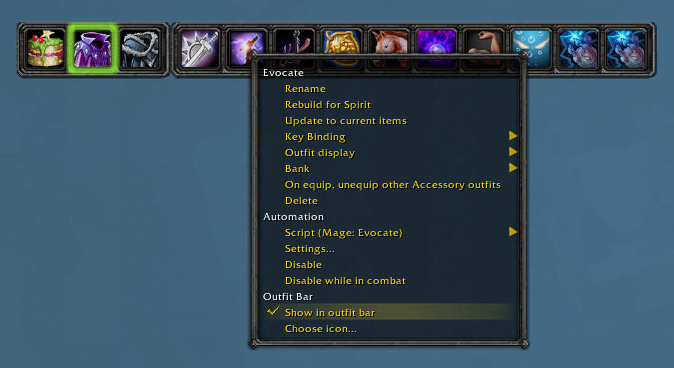 Outfitter includes an icon bar for fast access to your outfits, a minimap menu for fast compact access, support for LibDataBroker, scripting with a library of pre-made scripts for most common tasks, outfits optimized for a particular stat, item comparisons across outfits, quick access to items via the character sheet, and more. I get the error below on when I login to WoW. 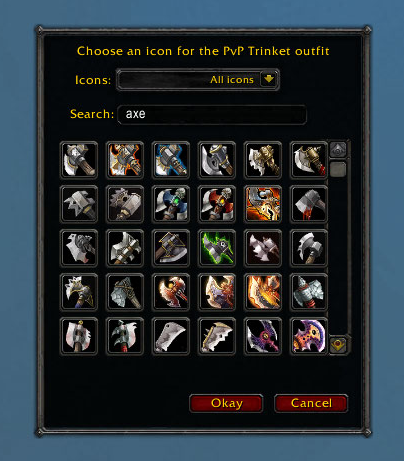 I guess it is related to the Argent Dawn script I still have setup on my main (Human, Warrior). I don't get the error on other characters. Message: Interface\AddOns\Outfitter\MC2EventLib.lua:88: Attempt to register unknown event "ARGENT_DAWN"
Stack: Interface\AddOns\Outfitter\MC2EventLib.lua:88: Attempt to register unknown event "ARGENT_DAWN"
Last edited by Robsato : 08-04-18 at 09:50 AM. (*temporary) = "attempt to call method 'SetValue' (a nil value)"
Everything still appears to set (or un-set) correctly despite the error. Occurs even with no other addons enabled. Can't change outfits using the minimap button menu, but they will change if you open the Outfitter window and manually select them. 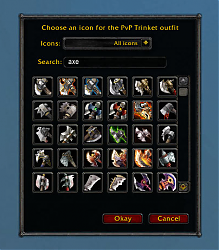 Running the current version of WoW (BfA prepatch). 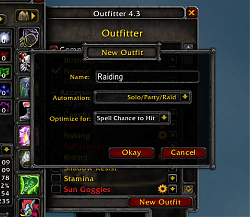 Edit - effectiveness of addon changing outfits, even manually is random. 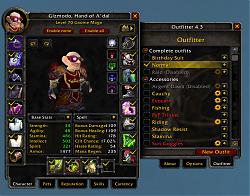 The addon seems to work initally, but after a couple of actions it no longer works. Have not tried logging out and back in to see if that restores some amount of functionality. Last edited by LazerBoi_64 : 08-02-18 at 07:44 PM. Re-select your stealth outfit's script (or delete the stealth outfit if you don't use it). The script likely became snapshotted at some point in the past and is no longer being updated by Outfitter. Re-selecting it from the list will correct that. 1x Outfitter\MC2EventLib.lua:88: Attempt to register unknown event "STEALTH"
Greettings. I'm getting the following error upon logging in after the update to 7.2. Thanks, that did the trick. 5.17.3 is up now and takes care of it. You are correct. I works on all of my characters except the lvl 103 Demon Hunter. Slightly different version of same error now. 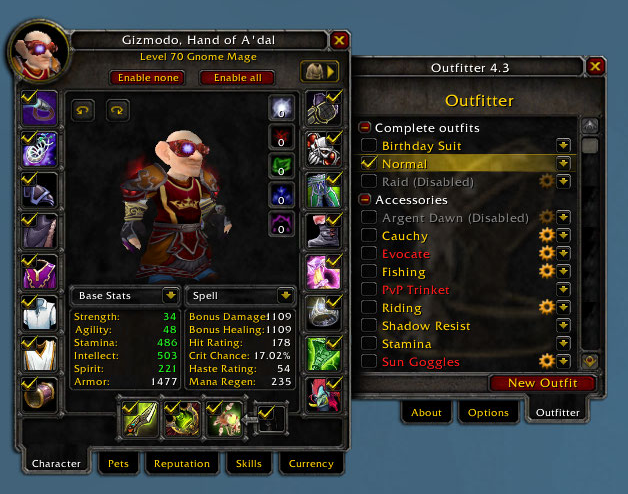 What class is your toon and are you seeing it on other characters too? I can't repro this so I'm guessing that it's specific to a class. (*temporary) = "AddChildMenu: First parameter must be a string"
Just installed the latest version and I get the following error upon clicking on the + next to outfits.